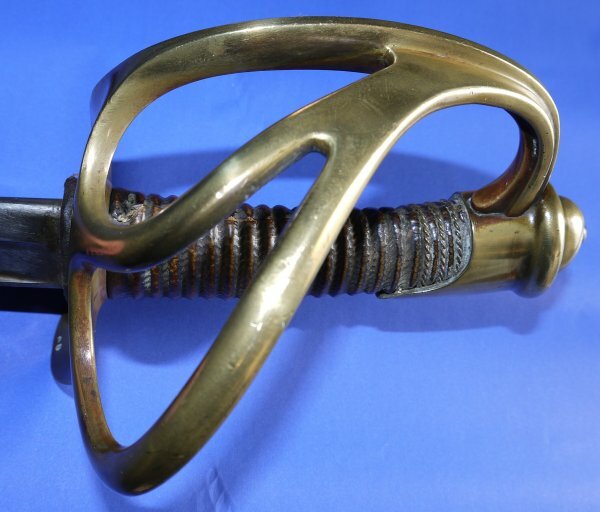 In good condition, a French 1882 Model Cavalry Trooper's Sword, Chatellerault March 1885. 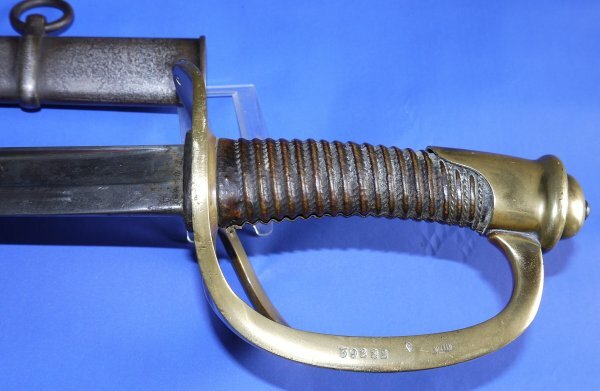 Matching hilt & scabbard serial numbers (39222). Franco-Siamese War / Scramble for Africa / Boxer Rebellion era. 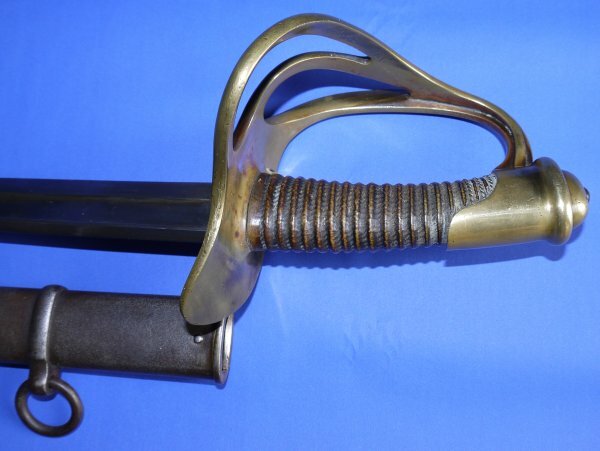 The 34 1/4 inch blade is in good condition and firm in the hilt. 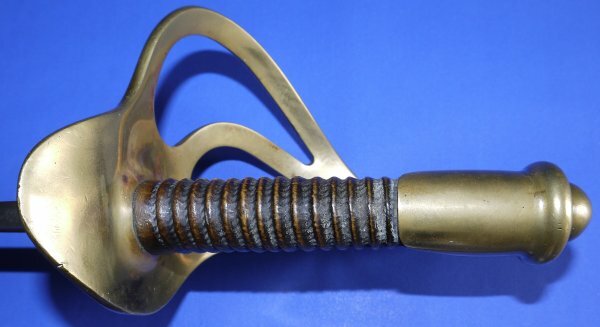 The brass hilt overall very good. The original leather grip is good but has lost most of its twisted grip wire (can easily be replaced). 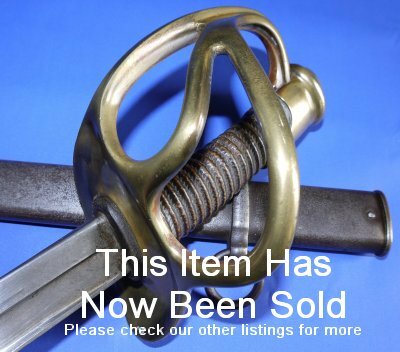 The steel scabbard in good order, a little pitting. The sword sheathes and draws well. An above average example. Our price is £625. Please quote item reference R85. Further / full sized images available upon request. Box 0569-1.21 (2.659).